Tonight at 20.45 hours Genoa plays in Marassi against A.S. Roma, the team of the new Spanish coach Luis Enrique. 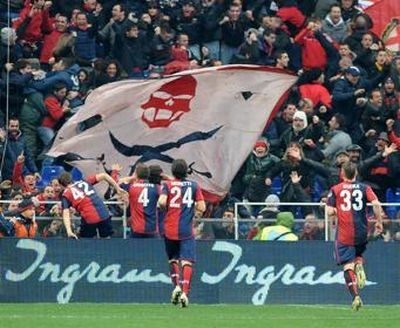 Last year Genoa beat the Romans by 4-3 after 0-3 in the beginning of the 2nd half. Both Palacio and Paloschi scored twice in this unforgettable match. Tonight the game will start with 1 minute silence to respect the victims in Liguria of the heavy rainfall the last days which killed 5 people while 6 others are dismissed.